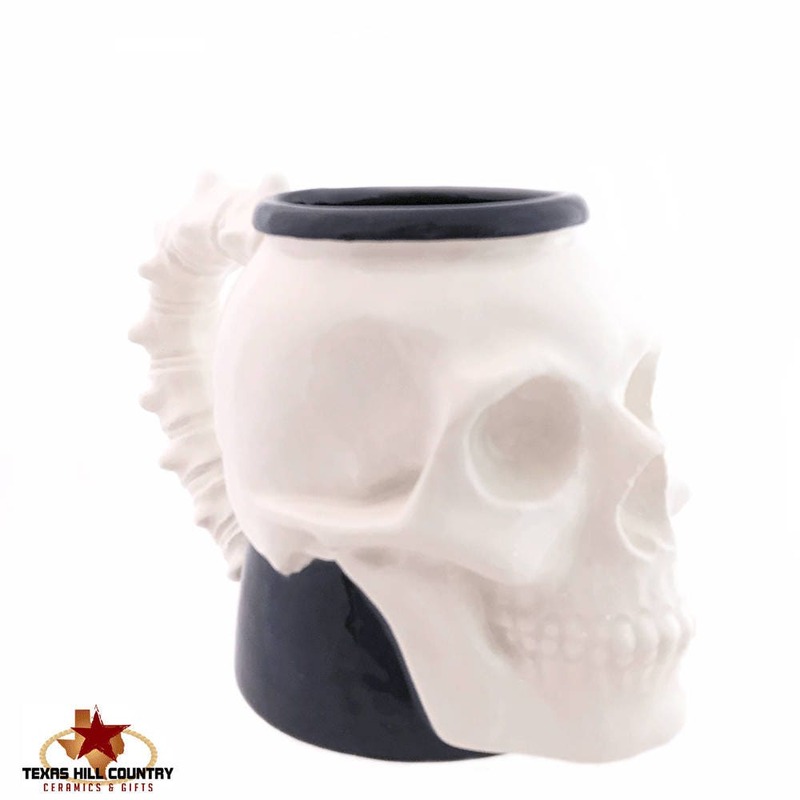 This skull tankard mug is very large, it is ceramic and designed for everyday use, it can also be added to any collection of fine skulls. 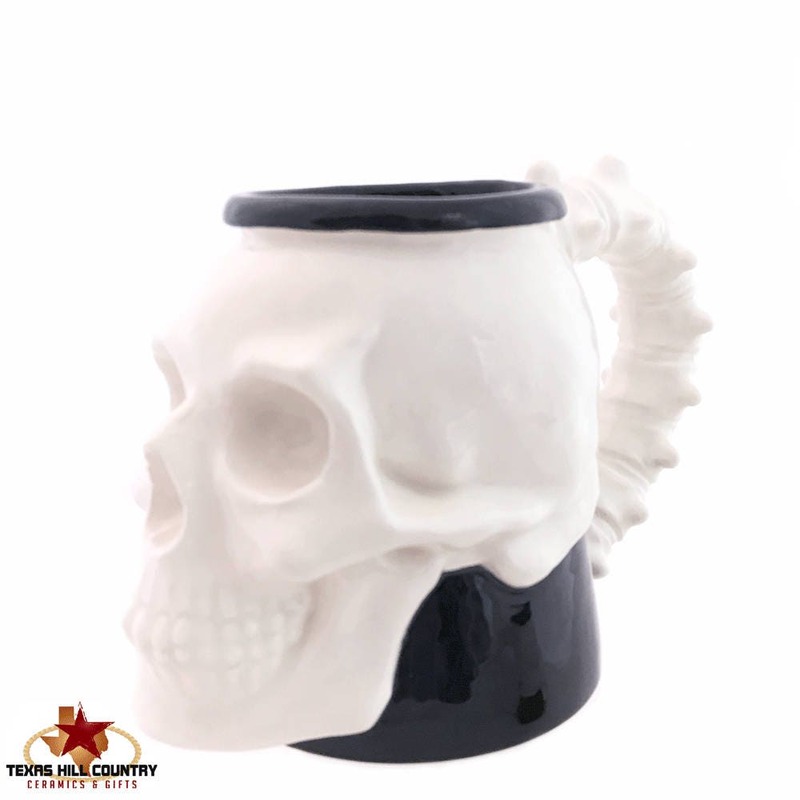 This skull mug is made for fun, the front of the mug is a highly detailed skull, the handle is made of vertebrae from the spine, it makes a statement. 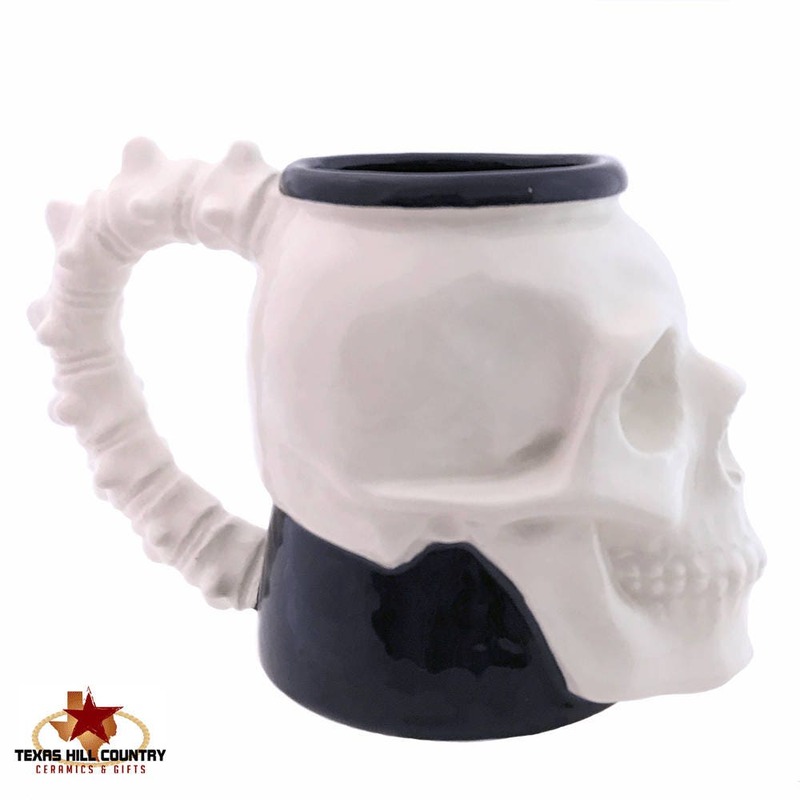 This skull mug is made to be used for your favorite brew, whether it is hot or cold. 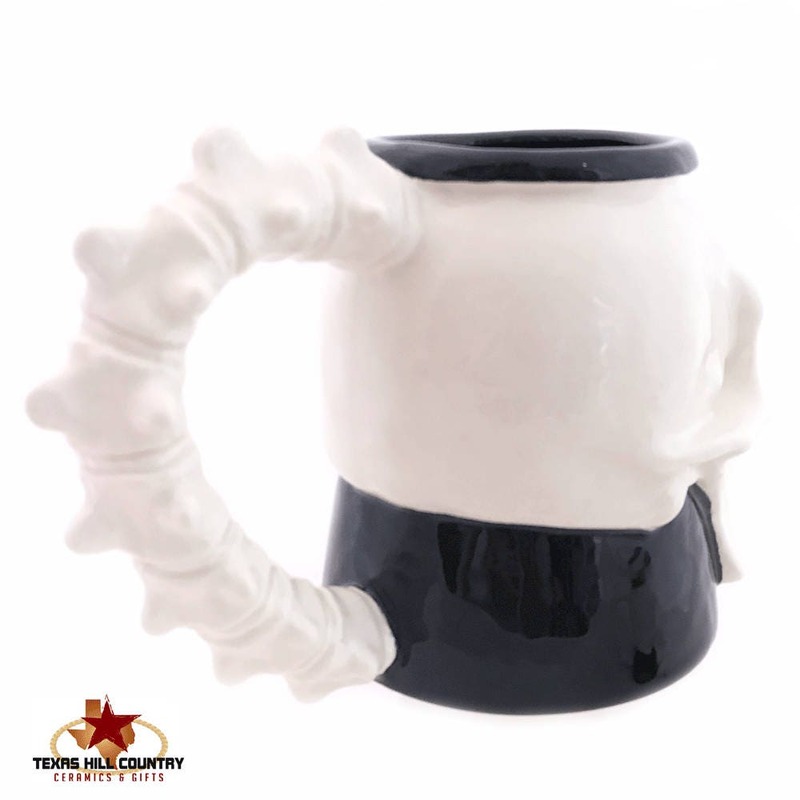 The inside and outside of the mug is glazed in lead free food safe gloss glaze giving it a totally macabre look. Great gift for the groom! This big skull mug is made kiln fired ceramics, each piece is finished with lead free glaze. The handle of this mug is cast solid too, this helps keep the mug bacteria free - hollow handles in a cup should be avoided for health reasons. 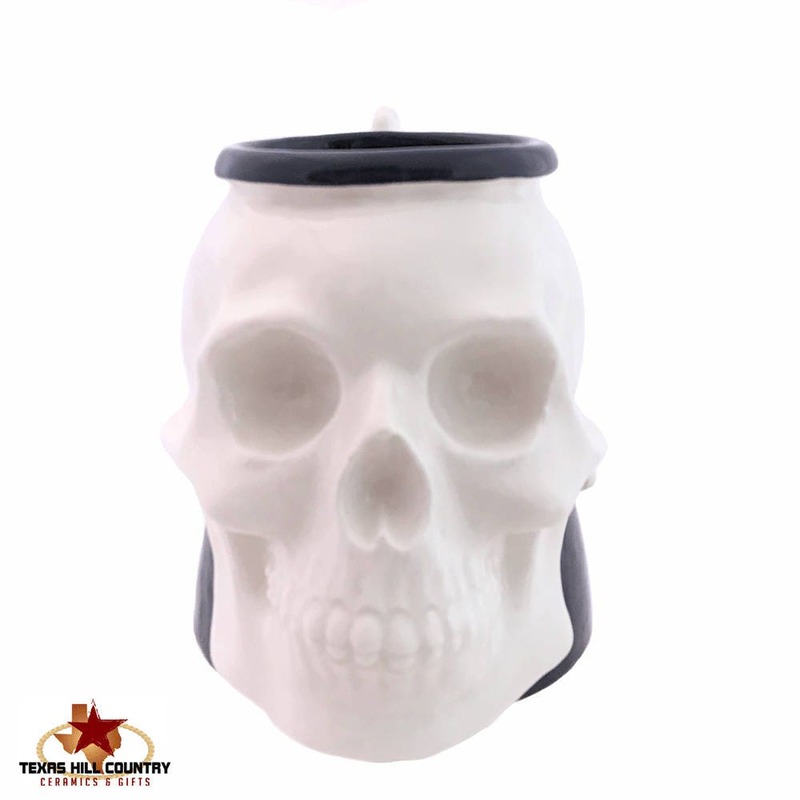 All materials used to create this skull mug are from the USA, it is Made in Texas from start to finish. Coordinating skull items are available. Each mug is made to order and ships on completion. Love love love! It was a gift for my friend, and he loved it too! I messaged her asking if it would arrive in time for his bday. She made sure it came early. The detail and craftsmanship on this mug is so impressive, even down to the fissures on the skull. Thank you so much!!!!! Bought this for my husband, and he loves it!! It arrived quickly, and looks just as amazing as the pictures. It replaced a cup he'd had for over 10 years, and sadly had to retire! Thank you so much! !